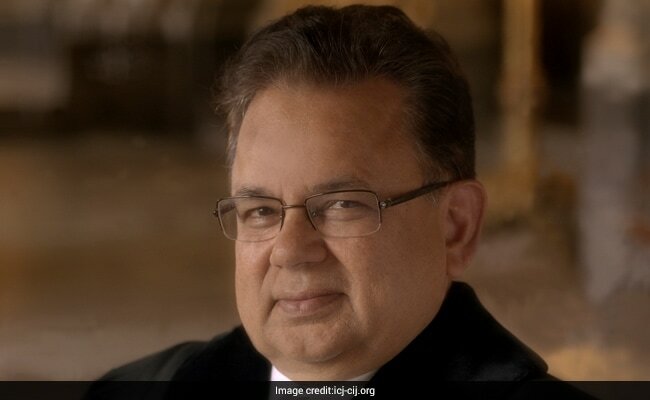 Washington: Justice Dalveer Bhandari, India's nominee for the last seat in the World Court, has received an overwhelming support from the UN General Assembly members who defied permanent members of the Security Council to back him against Britain's candidate, resulting in a deadlock. The battle between Justice Bhandari and Britain's Christopher Greenwood for the International Court of Justice (ICJ) seat remained deadlocked yesterday as neither could get the requisite numbers of votes in the latest face-off. Justice Bhandari, 70, and Mr Greenwood are seeking re-election at the Hague-based ICJ. One-third of the court's 15-member bench are elected every three years for a nine-year term, elections for which are held separately but simultaneously in the United Nations General Assembly and Security Council in New York. Last Thursday, four of the six candidates in the fray who were elected as per the UN laws got absolute majority in both the General Assembly and the Security Council. In each of the five rounds of elections, Mr Greenwood of Britain received nine votes and Justice Bhandari got five in the UN Security Council. The winner must secure 8 votes in the Security Council. Given that Britain is a permanent member of the Security Council, Mr Greenwood has an advantage over Justice Bhandari. Ahead of the yesterday's voting, Congress leader and former top UN official Shashi Tharoor said that the "voice of the General Assembly" has been ignored for too long. He accused the "UK of trying to stall the will of the majority of the UN General Assembly". Mr Tharoor said the election is no longer about the judge or the country he hails from, but about the General Assembly standing up against a member of a privileged club who has lost comprehensively among the Members at large but still leads 9-6 in the Security Council.